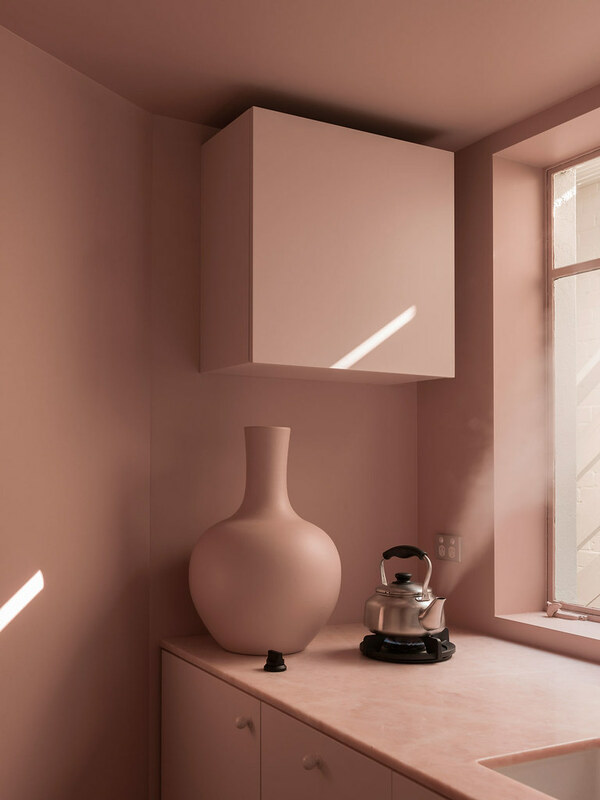 Clare Cousins Architects have returned to the renovation of the Pink store design Aesop in Fitzroy, which explores a nostalgic family ritual. Having finished the original design 10 years ago, the new finish was the second opportunity to revise the requirements of your favorite local brand. 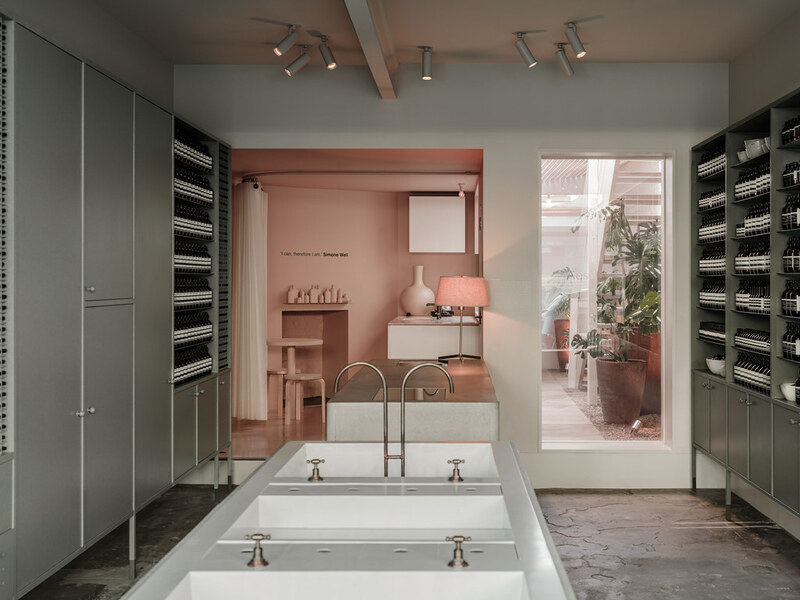 According to Cousins, the finely detailed design of the store is an ode to the history of its location in the first suburb of Melbourne. 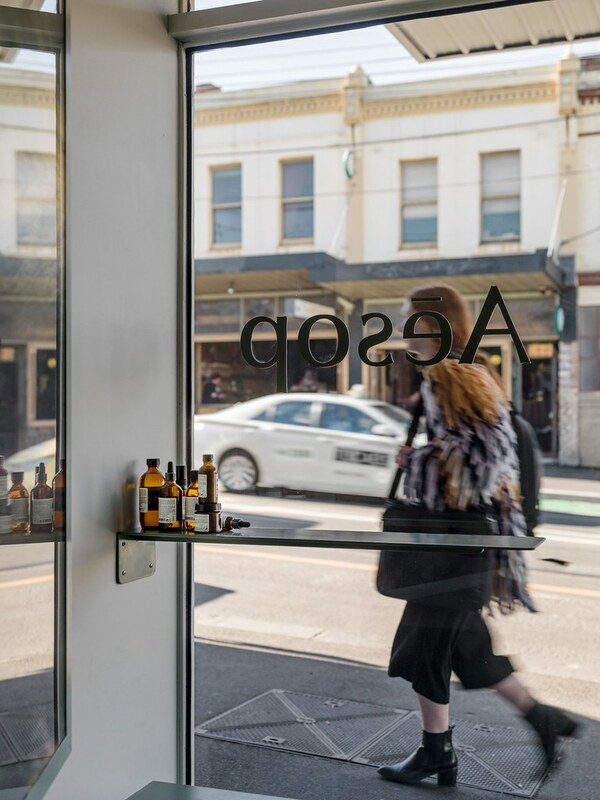 Located on the busy but ever-changing Gertrude Street, Aesop offers a pleasant sense of tranquility. The original restrained facade of the store remains and the existing case is slightly modified, keeping the original steel windows, steel beams and rustic concrete slab. At the entrance visitors are immersed in subdued shades, softened lighting, solid fixtures with a refined material palette. In this space there are large concrete monolithic vessels, which are equipped with an obsolete brass tap, which refer to the early forge of Fitzroy. 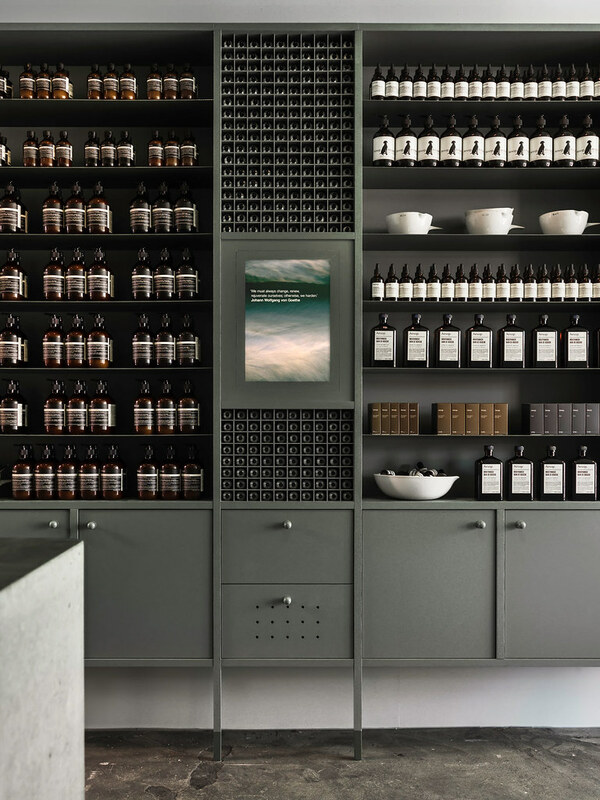 Manually painted gently green cabinetry rise on slender legs and demonstrate amber bottles in a rhythmic way. 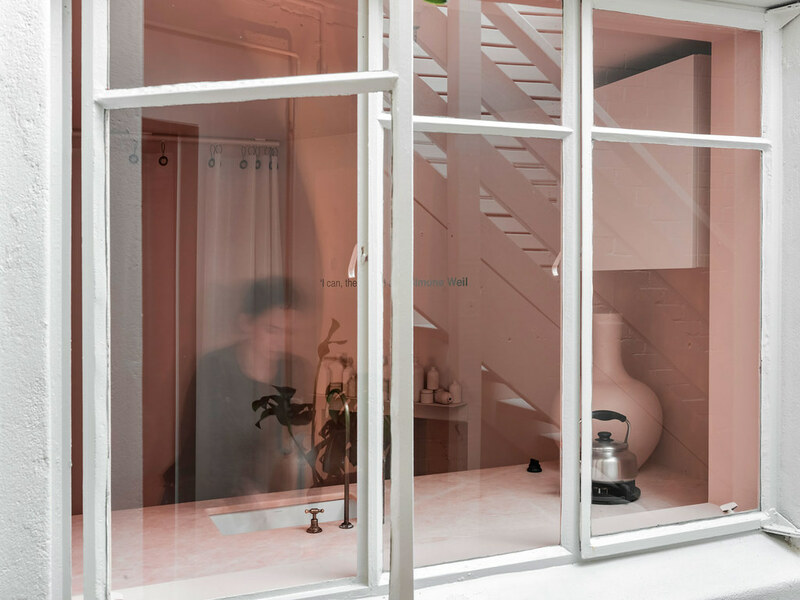 The holes in the doors allow the Aesop fragrance to spread out in space. Outside the outlet, ruddy pink shades peep through silicon ribbons, which form a curtain dividing the space. 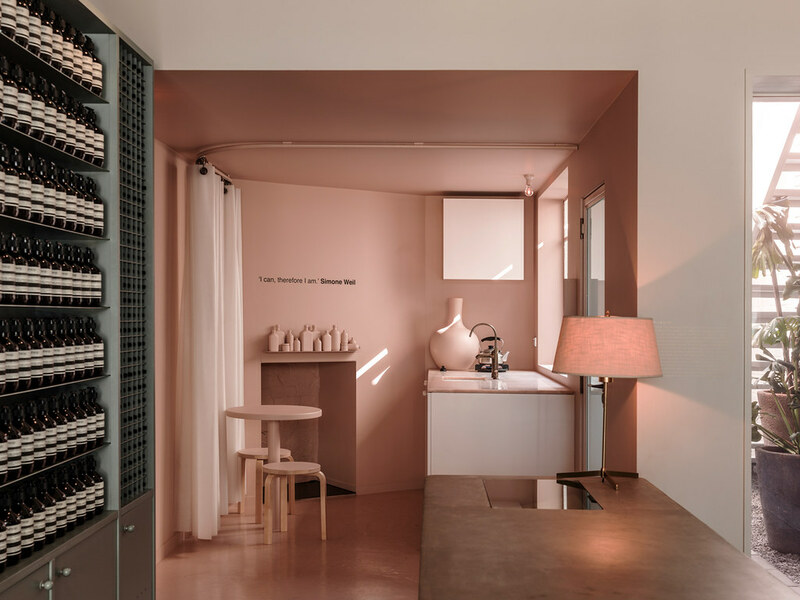 The ideas of the home rituals are abstracted by the exclusive use of pink blush with the Italian “Rosa Salmonato” marble counter top, hearth and functional mini-kitchen with built-in burner and sink. 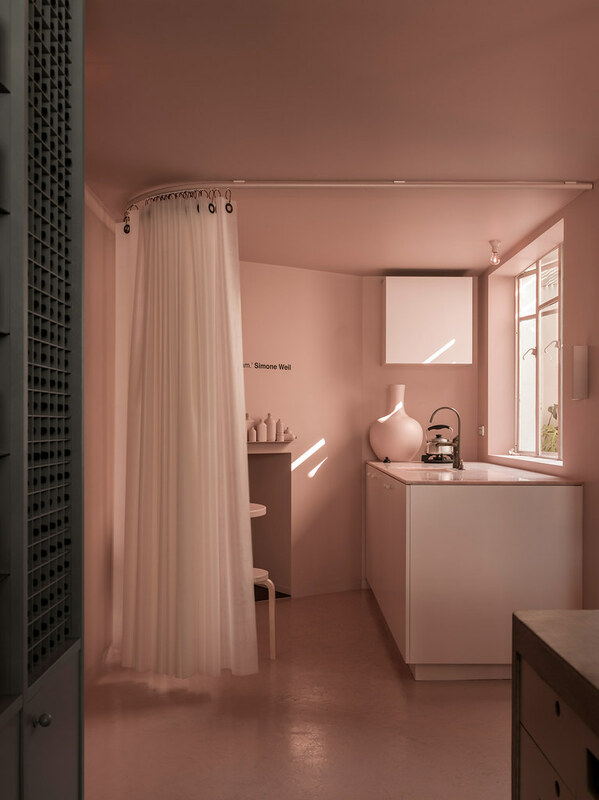 This pink, joyful corner of the store completely envelops you and offers a sensual and emotional experience. 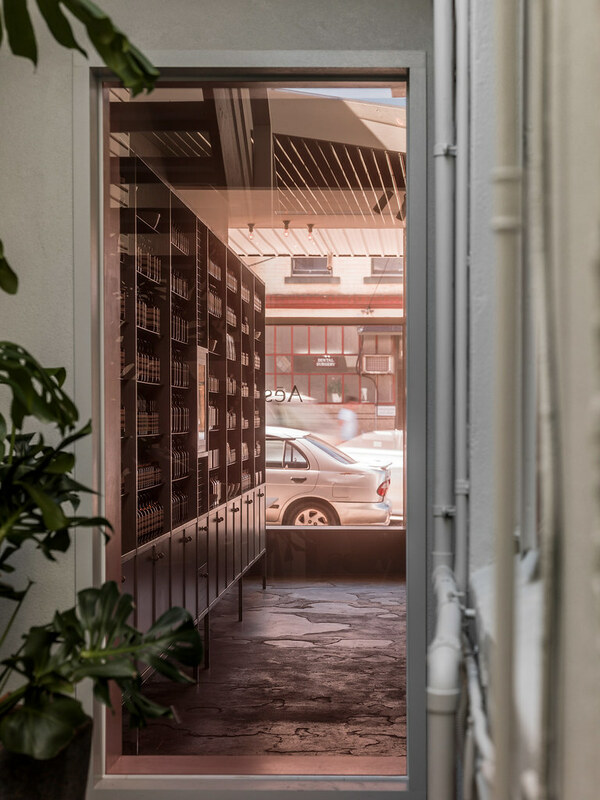 The design is open to the public and welcomes the dialogue between the store, passers-by, staff and client. 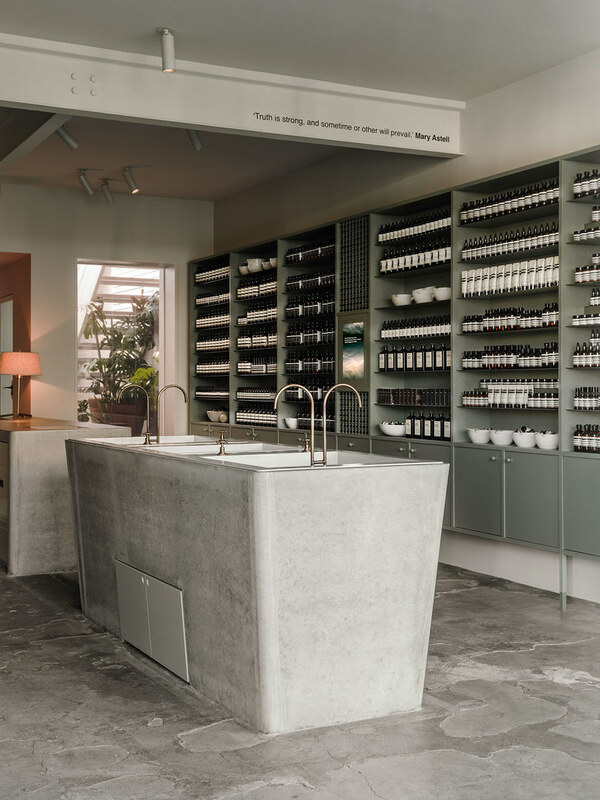 This carefully thought out environment pays homage to the inner rituals and accurately reflects the contemplative personality of Aesop.